In order for your new home business with SFI and TripleClicks continue to grow and expand in team size and commissions you are going to need to develop some good business producing habits. One of the first habits you need to develop is logging in every day at a specific time. The reason I state a specific time is because we humans are creatures of habit and once we form a habit it is hard for us to break it. Being set at a specific time will also help your family members (if any) know that it is time to leave you alone because of your work. Once you have the habit of logging in daily you will easily form the habit of working your “To-Dos” without fail. This would also include visiting the forum, reading ASK SC questions and answers and working with your teammates. To establish a business that is continually growing you can easily set a standing order for a unit of S-Builder along with some PSAs to go. If you are good at advertising for new sign-ups then you would want to be advertising daily for your new affiliates. You need to develop the habit of dropping whatever you are doing in order to help your teammates as soon as possible and as much as possible. Your teammates are very important to the growth of your business. If you are ignoring your down-lines your business will not go very far. Remember that your teammate’s success is your success. There are 6 income streams with SFI and TripleClicks you can maintain constant growth in any and all of them by making solid unbreakable habits out of the activities needed to succeed in each one of the. Now; do you know how to make something a habit? It is much easier that most people think. All you need to do is force yourself to do the same thing at the same time for 14 to 21 days. Once you have done that it becomes a habit for you and when you do not feel like doing the needed work your business building habits that you took the time to make will kick in and you will get it done anyway. Bad habits are just as easy to develop; so as you are building your business habits make sure you are developing “good” habits – it is easy to get lost messing around surfing the net when you need to be placing ads or writing a teammate a letter. • Consistently keep growing and expanding. “In building relationships with your team members communication is the key. Your ability to communicate comes from experience, and experience can be an effective teacher. The fact that you’re able to communicate what’s in your mind and asks this important question means that you can learn to write well and communicate with your team members effectively. How to learn to write well and improve your communication skills in written form? - Effective writing is not a gift that you’re born with; it’s a skill that you need to cultivate. Before you start writing, consider what you want to say. Generally most people start working out their thoughts as they’re writing, which makes their writing less structured, meandering, and repetitive. Ask yourself this question: What should my audience know or think after reading this email/message? If the answer isn’t immediately clear, you’re moving too quickly. You need to step back and spend more time collecting your thoughts. - Be direct to the point. Make your point right up front. Most people find that the writing style and structure they developed in school doesn’t work as well in the business world. Postponing the message that you want to convey in the middle part of your writing will make your communication engagement with your audience unclear and ineffective. By concisely presenting your main idea first, you save your reader time and sharpen your argument before diving into the bulk of your writing. Be selective in choosing words in consideration to your audience. As the business communicator, you must focus on the words you use and how you use them. Short, simple sentences, in themselves composed of words, also communicate a business style. In your previous English classes you may have learned to write eloquently, but in a business context, your goal is clear, direct communication. One strategy to achieve this goal is to write with the same words and phrases you use when you talk. However, since written communication lacks the immediate feedback that is present in an oral conversation, you need to choose words and phrases even more carefully to promote accuracy, clarity, and understanding. - Always read what you write. If you are writing ad copy, the goal is to motivate consumers to make a purchase decision. In each case, you are writing to a specific purpose, and a great place to start when considering what to write is to answer the following question: what are the readers’ expectations? Reading is one step many writers point to as an integral step in learning to write effectively. If you want to write effectively in business, you need to read business-related documents. These can include letters, reports, business proposals, and business plans. You may find these where you work or in your school’s writing center, business department, or library; there are also many web sites that provide sample business documents of all kinds. Your reading should also include publications in the industry where you work. You can also gain an advantage by reading publications in fields other than your chosen one; often reading outside your niche can enhance your versatility and help you learn how other people express similar concepts. Finally, don’t neglect general media like the business section of your local newspaper, and national publications like the Wall Street Journal. Reading is one of the most useful lifelong habits you can practice to boost your business communication skills. - Allocate time to practice everyday. Learning to write well takes time and your writing skills will improve as you practice everyday. Go to your local library and look for well written materials (books, magazines, etc.) to read everyday. When you read, be attentive to the word choice, sentence structure and flow. Most importantly, build time into your schedule for editing and revising. Writing and reworking your own writing is where the change happens, and it’s not quick. The time is well spent because good writers distinguish themselves on the job. - Plan out what you will say to make your writing more direct and effective. - Use words sparingly and keep sentences short and to the point. - Avoid jargon and fancy words. Strive for clarity instead. - Argue that you simply can’t write. Anyone can become a better writer with practice. - Pretend that your first draft is perfect, or even passable. Every document can be improved. Such Beautiful singing, I really enjoy the sound of their voices and the filming is superb. Click on photo to hear these ladies sing. What are the best habits to develop to ensure that your SFI business continually grows? When you love something you will WANT to spend time doing it. It will not be a chore but a PREVILEGE. And your time spent in your SFI business will be enjoyable. You won’t want to stop working and you will try and find more opportunities (time) to spend working your SFI business EVERY DAY. And you will never stop THINKING about it. It might take some time to “learn to love” SFI. After all, I came to SFI “cold” – knowing nothing about SFI or what the business was. But the quality of the training and the system that SFI has soon convinced me – “I AM ON A WINNER!” I just need to learn how to make it “WORK FOR ME! If you have no previous business experience then treat it as a JOB (you just happen to be your own boss). Once you do that you will have the right MINDSET – to commit to SFI, work 40 + hours per week in it, see it as a LONG TERM activity, and be SERVICE and OUTPUT focused. LEARN THE SFI SYSTEM and keep up to date with it. It is changing so fast so much sure you understand each new thing that is developed and how to use it. Remember you have a team to mentor and lead too. It is very important that we learn to use the SFI system to our best advantage. Then DEVELOP A BUDGET – INVEST in your SFI business. Yes, SFI is FREE to join and you are NEVER required to invest anything in it. So you can START from SCRATCH. INVEST your TIME (that’s free too). Learn to SELL and use your commissions as SEED CAPITAL by reinvesting as much as possible back into your SFI business. And GROW THAT BUDGET – Build it up to a level that will give your SFI business MOMENTUM. The SFI opportunity is HUGE! Once you are satisfied that you have one stream of income working for you, turn your attention to developing another one. And PROMOTE your SFI business wherever you go. Seek out opportunities in your local community to offer the opportunity to other people. And learn to run your SFI business “ON THE GO” using a smartphone or tablet, the local library or internet café (whatever is available). NEVER leave home without your SFI business. These are the BEST habits I think you should develop. Of course, you must do ALL the “NUTS & BOLTS” of SFI. We talk about these ALL THE TIME – so I will only mention them here, briefly in finishing. Yes, login daily, do all the FREE AVP (and then some). Devote time to administer your SFI business, read and learn what you need to do, and mentor your team. Transfer buy and know the products in TripleClicks. These are the things I do. May I wish you every success. To ensure your SFI business is thriving well into the future, you need to start planning now. You must come up with your best plan to develop the best habits of continually growing your SFI business. - Logging in everyday to your SFI homepage performing your daily, weekly and monthly To-Do-List. This step may seem trivial but this is where the formation of habit starts for growing your SFI business. For new affiliates this is the best place to start. By starting on the simple tasks, you work your way up to the next level of activities that requires more attention in growing your SFI business. You stay active when you don’t miss a single day doing something to keep your SFI business moving forward. - Maintaining your EA2 status. Your SFI business won’t grow without keeping your EA2 status. As long as you need to expand your network, maintaining your EA2 status is a vital step to ensure your SFI business is moving forward towards your long term goal. This is the pre-requisite of moving up to the TL rank, which means more benefit for you and by doing this you’re developing a habit towards the development and growth of your SFI business. Plan time to read and make it a habit to learn and how to use SFI tools and resources extensively. Expand your knowledge base by learning one topic at a time. This is one of the most valuable assets in growing your SFI business. As you move up to TL rank, you’re going to make use of your SFI knowledge to train and support your downline. Participate in SFI Forum, reading valuable tips from people who have proven track of success. Make a regular visit providing solutions to other affiliates, who need help. This is one way of branding yourself to grow your popularity making you trustable to your downline. You can also make a regular contribution to Ask Sc, learning and applying the vast amounts of knowledge to grow your SFI business. In general, you must make your education a priority and schedule significant amounts of time for it. While some of this can be squeezed into your day (such as reading while waiting in line), much of it will require you to give up something else that probably isn’t as important (such as watching television). As a business professional, you need a constant supply of information to achieve success. You must stay aware of trends and issues and keep up with rapid economic and technological changes to become and stay competitive. Reading the SFI news everyday keeps you up-to-date with the latest innovations in marketing your SFI business. 1. Stay connected with your downline by sending them your weekly tips and encouragement. 2. 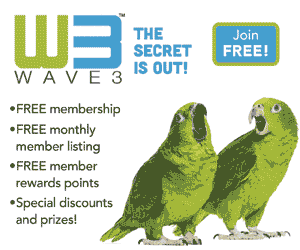 Use Stream Posts/E-Cards to congratulate your downline in their rank advancement/Daily Grand winnings; recognize their achievements by offering rewards/incentives through your Leadership page. This will send them strong message that you’re interested in their development and growth. 3. Always keep your Leadership page up-to-date. SFI sends reminder twice every month about the Leadership page maintenance. This is an important tool in communicating your tips, ideas and strategies to your downline. 4. Offer one-on-one support to your downline. This could be the most effective way of customizing your involvement in helping them to advance in their journey with SFI. Develop a marketing strategy that brings results. One-time or sporadic tactics are ineffective in increasing awareness, acceptance, preference and demand when offering SFI opportunity. You can create more marketing momentum with your daily action. 1. Fast loading – It should load in less than 5 seconds. 2. Visually appealing – Websites need to be updated every few years to look current. 3. Easy to navigate – Visitors must find what they need quickly or they’ll leave. 3. SEO optimized – It should be found on page one of Google’s search results for the keywords that prospects will likely use to find you online. II. Networking – This will take time but the outcome can be strong, valuable relationships. Industry association meetings and entrepreneur networks are great for networking events. Make a habit to attend regularly; people trust those who they get to know. III. Develop a social media strategy and decide which platforms are right for your market. An effective way of dedicating your time to social media is by leveraging bloggers and other content creators. These individuals have the loyalty and trust of consumers and businesses. Develop relationships with the right online personalities to lend credibility to your SFI business and expand your reach. Your goal is to create a combination of daily activities that help you communicate with your prospects. Long-term success of your SFI business relies on continuous personal growth. Achieving that means developing the best habits for continued growth, being better today than you were yesterday, and being better tomorrow than you are today. Save money on your Electric Bill and benefit the Environment use LED bulbs. http://www.gotclicks1.com/xDKBz5p8WeUJ pass this information on to your friends who can certainly save money for other things they desire, even to have money to develop their business and have more for their family and loved ones. 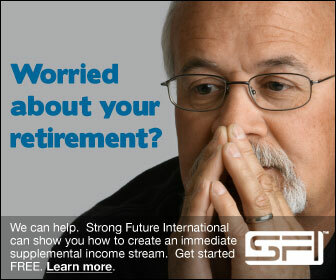 How much time should I allow before I should expect to be producing income from SFI? Have you thought about having your own Business? Have your thought about what a Real Business Envolves ?? 1. Are you asking when you can expect to receive any income at all from SFI? 2. Are you asking when you can expect to receive substantial income from SFI… like maybe enough to make a new car payment, say $500 per month? The answer to number one is simple… when you qualify as an Executive Affiliate you also qualify for shares in the month’s executive pool… one share for each VersaPoint earned each month you qualify as an EA. No, it’s not a lot of cash. My executive pool earnings for the first two months have been less than $20. But don’t overlook it as insignificant… you can consider it proof that SFI does work and the company does deliver on its promises. I have been involved in several online business opportunities in which I have NEVER received any cash earnings…. ZERO… ZILCH… NADA! The answer to question number two is not quite so easy to answer… there are several factors at play here. 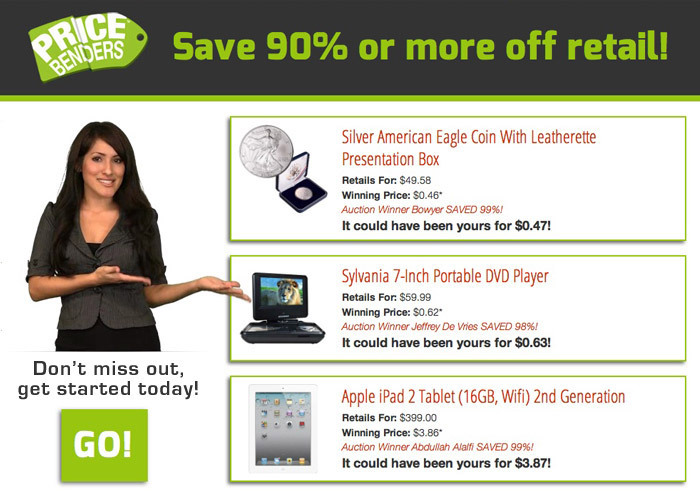 How many TripleClicks product sales have you generated personally? What leadership rank have you reached? How many active down line PSAs have you been able to recruit? How many active CSAs do you have on your team? How many TripleClicks product sales has your team generated? While I can’t determine exactly how much you can expect to earn each month, I can make these predictions with confidence. 1. At first you can expect to invest a lot of time to earn little money. I have seen it said over and over… SFI is definitely not “Get Rich Quick!” The problem is a lot of new affiliates seem to disregard this statement, and they cry ‘scam” and quit. 2. At first you can expect to invest more money into your business than you will earn. You must understand that this is true in any business, online or offline. I have a friend that invested his life savings to start his own “cabinet shop” business. He never did turn a profit, and lost his entire investment. Would you call a “cabinet shop” business a SCAM? Not at all! So why do people call a failed online business a scam? Two reasons… either they don’t have realistic income expectations about their business, or they don’t want to put forth the work necessary to achieve the success they want. 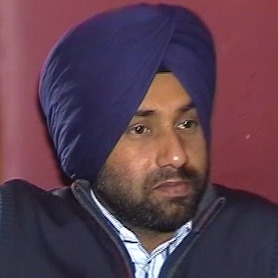 Then, rather than accept the responsibility for their business failure, they put the blame elsewhere by crying scam. In either case, it does not affect the viability of SFI as a business opportunity. You need to make the commitment to invest the time, effort, and finances to make your SFI business a success. Have been busy and gone for awhile. We are busy with Strong Future International For Humanity. Strong Future International is a Great program that is rapidly spreading throughout the World. SFI is a Strong International Company in Business for 17 plus years. The parent company Carson Services Inc. is a strong debt free company with the BBB. Like any company with a strong growth and with people in the World who like to fight anything and everything on the internet, the company has it’s detractors. There are also those who will not, and cannot build a business because they believe they cannot! If you believe you can you can and conversely, if you believe you can’t, you can’t. We like SFI – Strong Future International because we have been in many Internet Marketing Businesses that apparently did not have what it takes to stay in business. SFI is different it has been in business and growing for 17 + years. SFI has a marketing arm called TripleClicks. What are the Business Benefits for Affiliates? First off it is Free to Join, You are never required to spend any money with SFI if you do not want to and it is always that way. But you will not grow your business as fast as those who invest in their business. When someone asks you why they should join SFI, what do you say? When I started my SFI affiliate business, I had absolutely no sales experience. That wasn’t a problem, however. The SFI provided excellent marketing material and training. Employee salaries are usually the biggest business expense. You’ll never have to worry about hiring full or part-time employees while working as an SFI affiliate marketer. Setting up a merchant account is time-consuming and costly. However, SFI Affiliate does not need any merchant accounts. As an SFI affiliate, you’ll never lose sleep over charge backs, fraud, freight etc. Forget the problems associated with collecting and storing names, addresses, credit card numbers, etc. The SFI system does all that! This is the true power of SFI affiliate business that at one stage after working strategically with the methods described on the SFI website you can Make Money While You Sleep. Mr WordPress on What Is Sweeva?